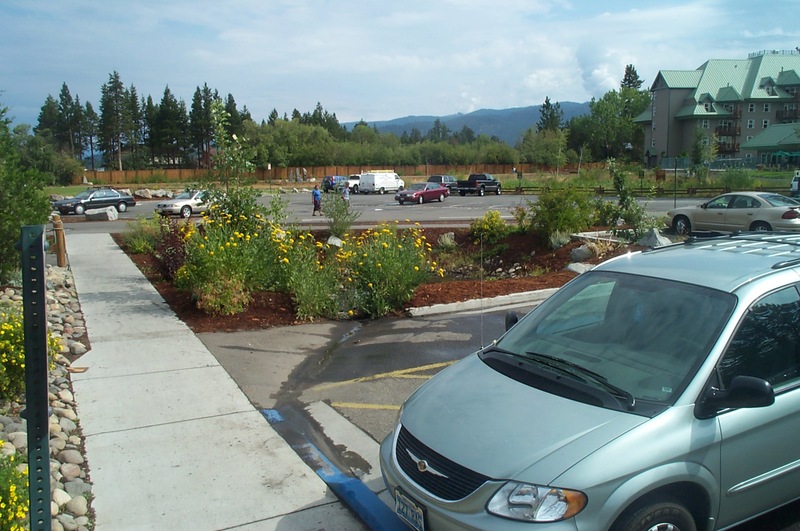 Compacted dirt areas routinely disturbed by vehicular traffic are notorious sediment sources, especially in the winter during snow removal activities.  Compacted dirt areas shall be paved and the runoff captured and infiltrated or restored and blocked off to prevent future disturbance. 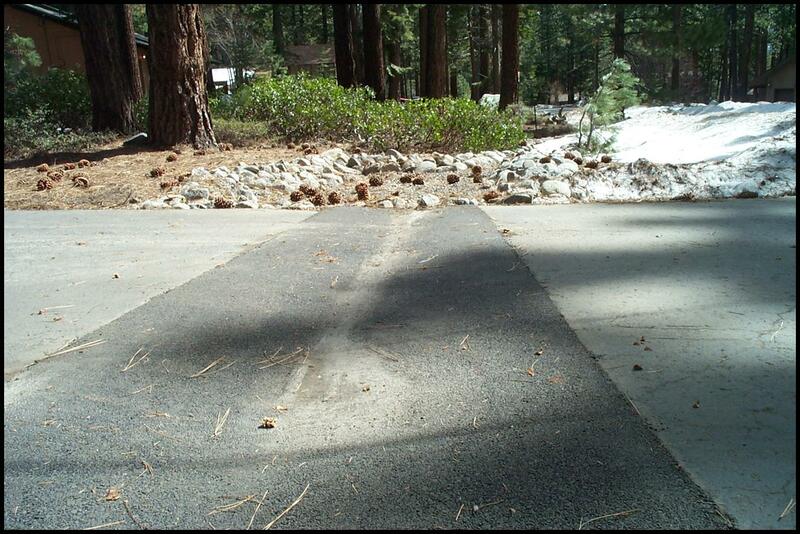 Driveway conveyance systems must have an accessible sediment trap installed prior to the infiltration system to facilitate maintenance. 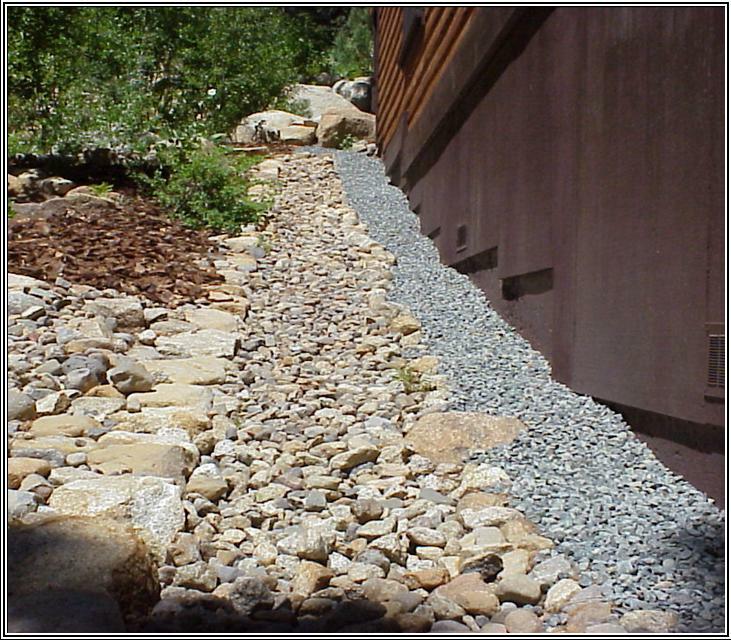 Runoff from impervious surfaces such as roofs, driveways and walkways must be captured and infiltrated into the soil before it can leave the property. 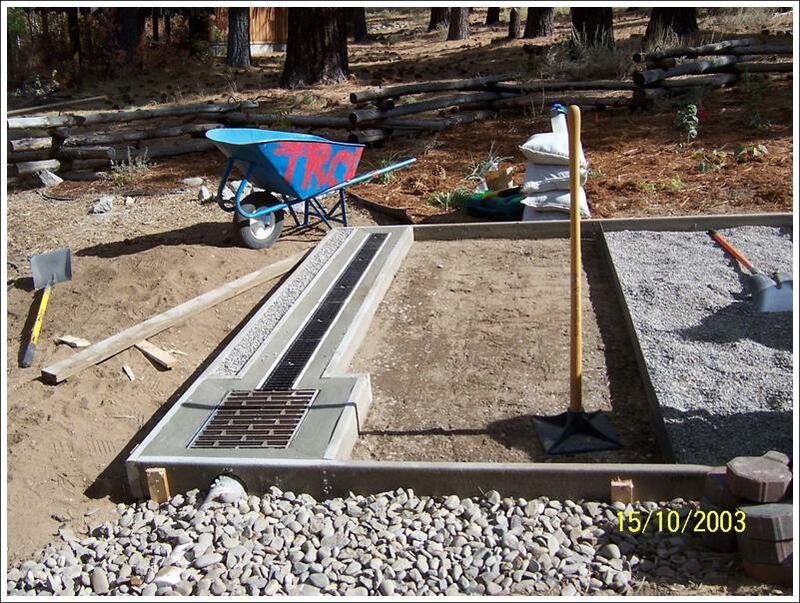 Gravel/rock infiltration systems or infiltration basins are common infiltration BMPs. 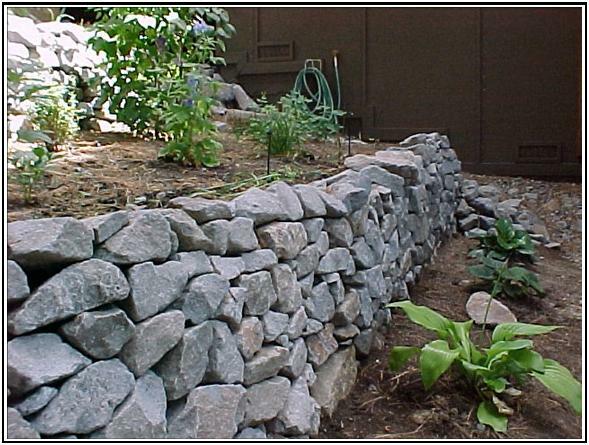 Materials such as rock, wood and vegetation can help stabilize soils and prevent sediment from being transported offsite. 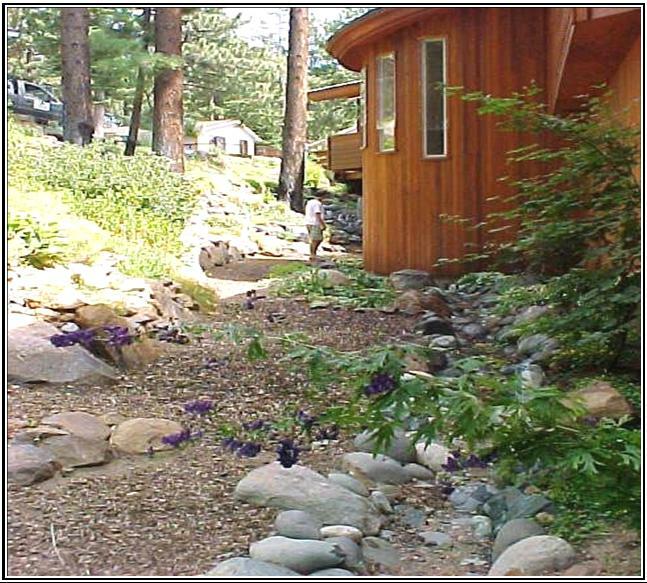 Vegetation and mulch can help stabilize soils and prevent sediment from being transported offsite. 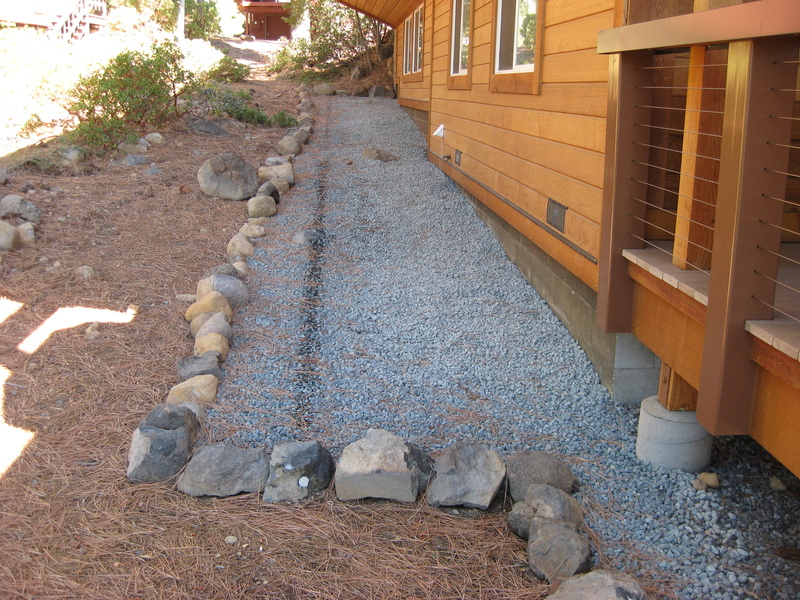 Be sure to maintain defensible space by spacing vegetation and applying organic mulch, such as wood chips or pine needles, in discontinuous patches within the 5-30foot zone.